Technology giant Apple has agreed to pay as much as $400m (£233m) to settle a lawsuit into accusations that it colluded with publishers to fix the price of e-books. The settlement depends on Apple losing an appeal into a 2013 ruling that it violated anti-trust laws over pricing. That ruling found Apple orchestrated "a conspiracy with five publishers to artificially raise e-book prices". 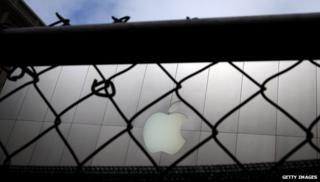 Apple has continued to deny that it engaged in any wrongdoing. "We did nothing wrong and we believe a fair assessment of the facts will show it," Kristin Huguet, an Apple spokeswoman, said. "In a major victory, our settlement has the potential to result in Apple paying hundreds of millions of dollars to consumers to compensate them for paying unlawfully inflated e-book price," said New York Attorney General Eric Schneiderman, who announced the settlement ahead of a damages trial that was set to begin on 25 August. There, lawyers representing consumers and 33 US states, were to request $840m in damages be awarded to consumers who were negatively impacted by the alleged higher prices for e-books. The publishers who are accused of colluding with Apple - Hachette Book Group, HarperCollins Publishers, Penguin Group (USA) Inc, Macmillan and Simon & Schuster Inc - have already settled for $166m in a separate suit. The settlement had previously been announced in late June but the details had not been released.